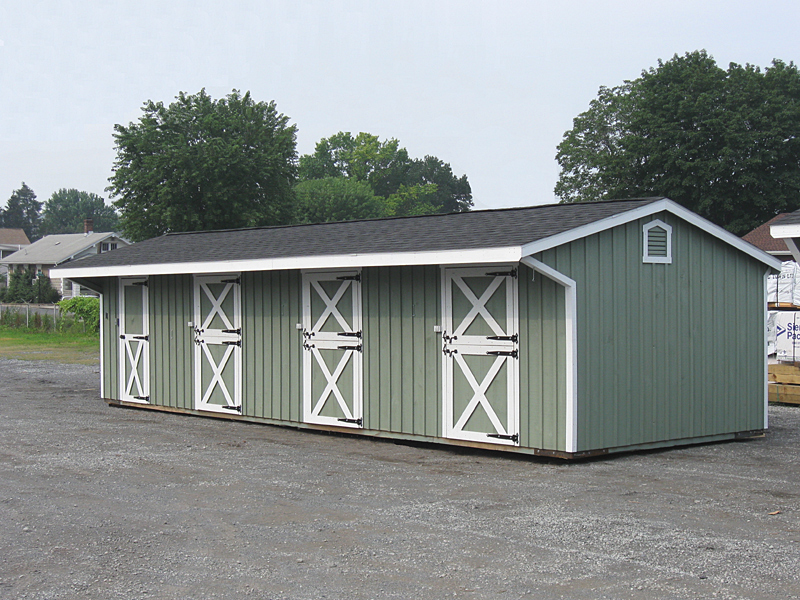 Shed row barn is a horse shed with a single row of stalls. 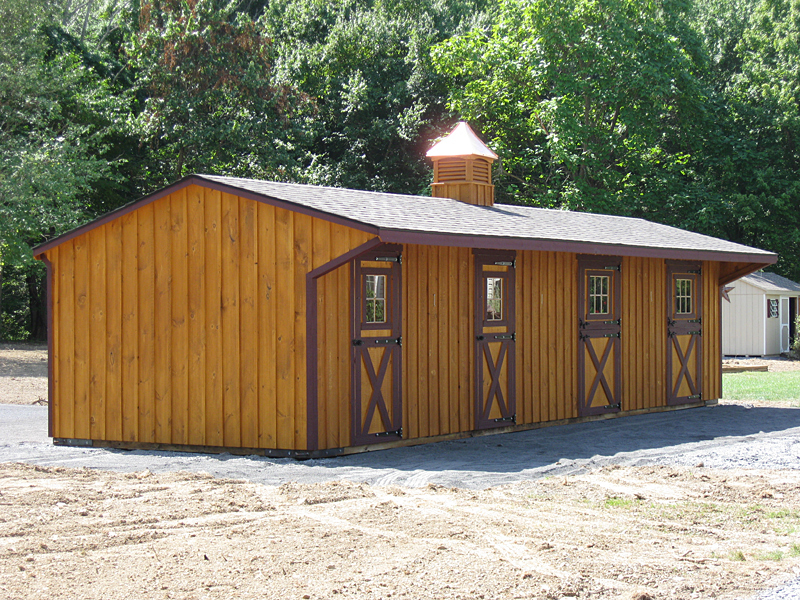 Shedrow barns may be built on-site or delivered completely built. 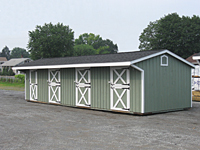 Portable prefabricated shedrows can be up to 52' in length and up to 14' in width. 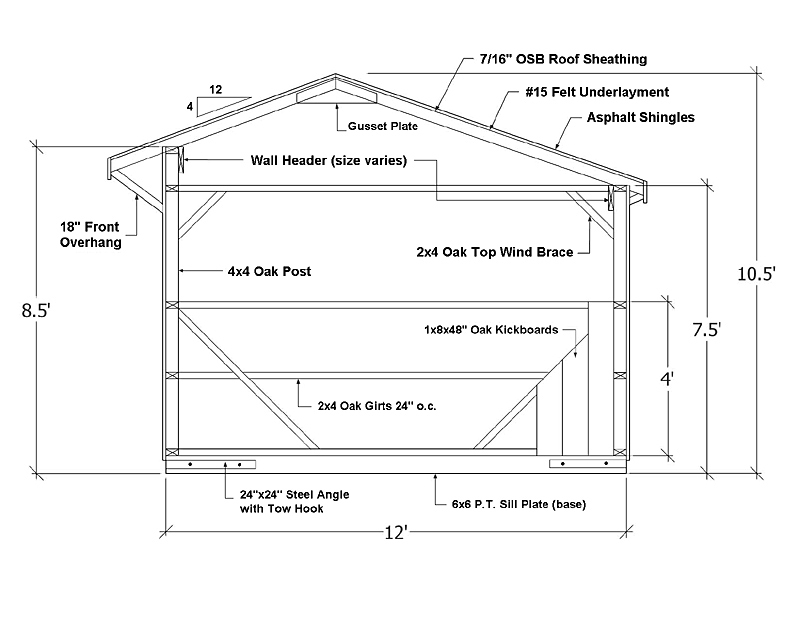 It is possible to build an economical center aisle barn by making two shedrow barns face each other and slightly modifying their roof. 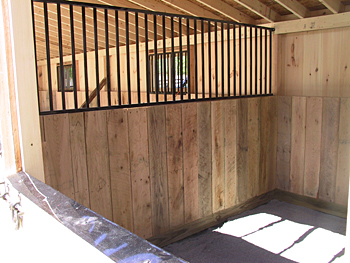 Ceiling Height - Due to delivery height limits, most prefab horse sheds are built with 7'-9' high walls. 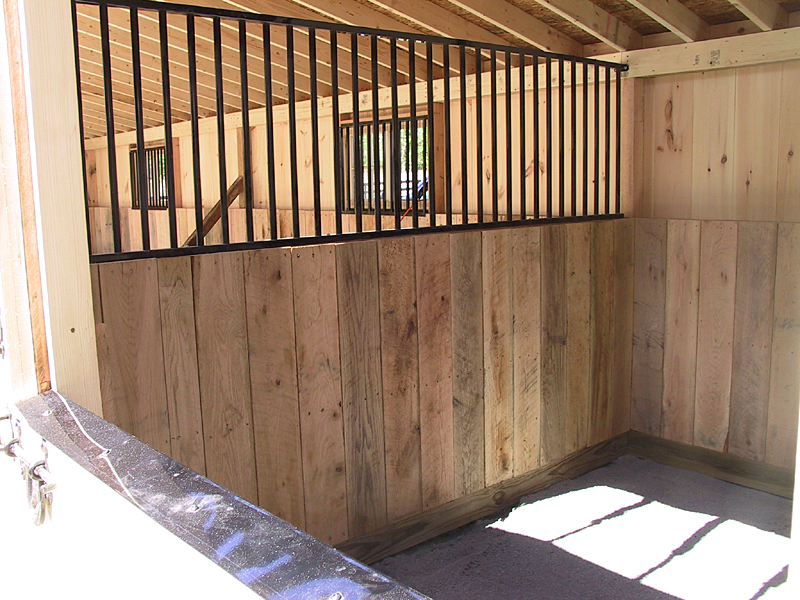 In our opinion, this is not enough of headroom for large 17+ hand horses. Site Access - Must have a good access to deliver an oversize building. 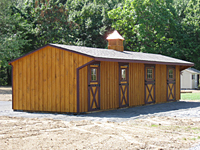 A prefab shedrow horse barn is the most economical alternative to a regular center aisle horse barn. 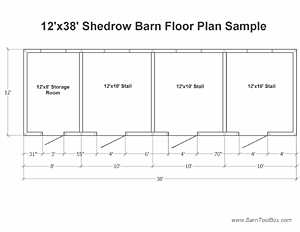 In fact, a four stall portable shedrow barn will cost at least (3) times less than a regular four stall center aisle barn without loft. 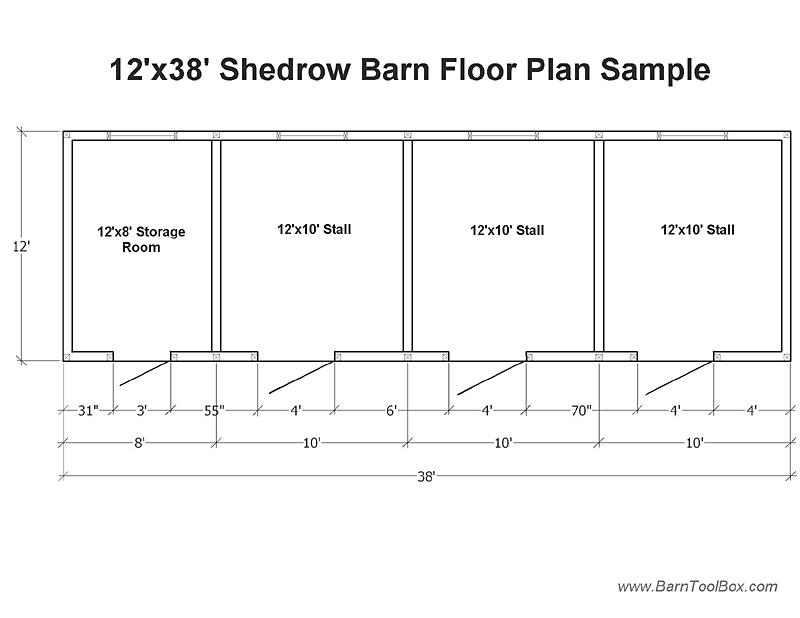 A typical shedrow is basically a single row of stalls, or sometimes a combination of stalls, storage rooms and even run-ins. 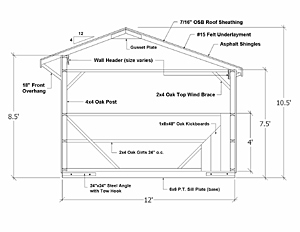 Keystone Barn Supply, LLC. is a good source to purchase portable horse barns and sheds. 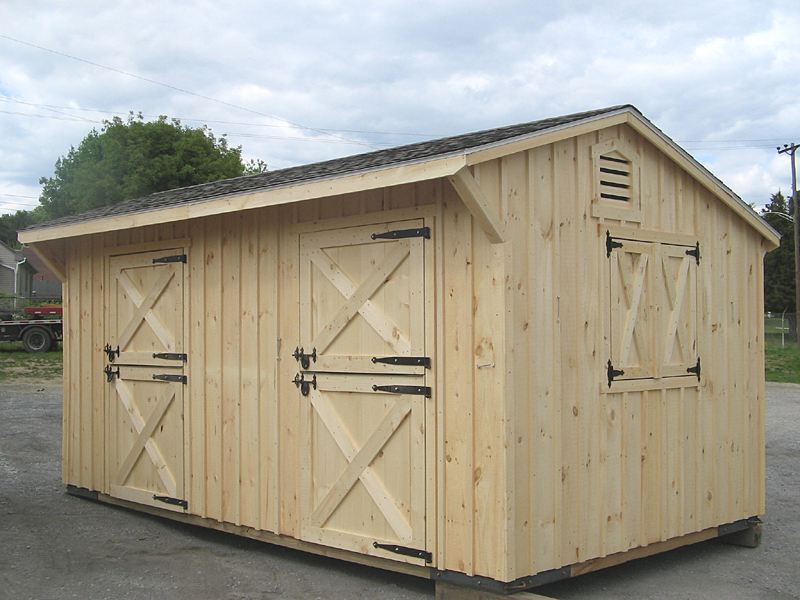 Each stall in a Shedrow Barn comes with 4' high kickboards, 4'x7' Dutch door, window with protecting steel grill and partition with grill between stalls.